Is avast! antivirus headed for the Super Bowl? avast! sports fans around the world want to know: Will the world’s most popular free antivirus program make it to Super Bowl XLV? Yes, it would be a long shot. But I’m betting that if avast! 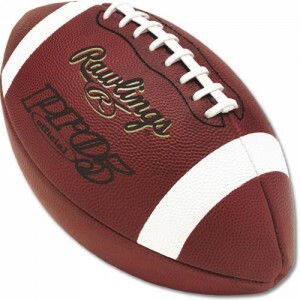 shows up at the number one event for American football, it will be instantly recognized by thousands of supporters. Recent months have showed avast! steadily moving up the sporting ranks, getting a foothold in a variety of arenas. If avast! can handle NBA basketball and professional wrestling, - it can handle professional (American) football. Last week, avast! showed up at the NBA Washington Wizards-Milwaukee Bucks game. Dan Steinberg, the Washington Post’s sports blogger caught the announcement and posted it. Sure enough, he soon had over ten viewers confirming, that was an “avast! virus database has been updated”. And, the game announcers were quick too, turning off the news before the entire avast! update news had been completed. In November, the avast! update was one of the highlights to the match between A.J. and Nikki Bella, two professional women wrestlers, during their bout at the UK’s Manchester Arena. Fans were able to hear the complete message from avast! – along with some comments by the announcers. What are the odds that avast! will show up at Super Bowl XLV in Arlington, Texas? I would say better than 1:1, but it would most likely be a stealth appearance. Avast! now has around 120 million live users, computers that have gotten a virus database update within the past 30 days. That is a fair chunk of the world’s PCs. Within the United States, AVAST Software is the number one antivirus vendor. That is according to a December 2010 release from OPSWAT, a US-based software management firm. That means that there is a high probability that at least one computer in the announcers’ booth will have avast! antivirus software. And now, get ready for the bad news. It is quite easy, a one-click operation, to turn on the Silent Gaming function in avast!. Users can even decide select what alerts they want to hear, choosing perhaps a virus alert but not the routine update announcements. The top football analysts should be able to figure this out. So, avast! will likely be at the Super Bowl, but it will just be silently running a defensive pattern on announcers’ computers, keeping them from getting sacked by a sneak malware attack. We just will never hear about it. But with 100,000 fans in the stadium and maybe another 150 million watching on TV, we are certainly hoping for a vocal appearance.